As a result of its numerous high profile successes in these practice areas, Animators has emerged as the premiere design firm for cases in the environmental, construction and aviation industries. Animators’ extensive experience in these areas includes work on some of the nation’s most famous airline disasters, billion dollar environmental cases, and construction cases of national significance. What these practice areas have in common is the need to work closely with expert witnesses, who are usually engineers or scientists. Animators’ team of attorney consultants are particularly adept at working with these highly technical individuals, whose knowledge in their particular field often far surpasses their ability to effectively teach a lay audience. Therefore, Animators serves as an excellent conduit between the highly educated expert, and the persuasive communication of the expert’s opinion to the judge or jury. Moreover, Animators’ use of secure websites for each case allows experts from around the world, who are working on a specific case, to collaborate in order to help arrive at a coherent visual presentation for trial. Animators’ groundbreaking work on high profile aviation cases has garnered national attention. Animators’ successful work for clients in this industry has been well documented in numerous articles from a broad range of media outlets. In one noteworthy aviation case, involving Steven Spielberg’s sister, Animators was instrumental in helping to secure the largest verdict stemming from airplane turbulence in history. This particular case arose from a 1995 American Airlines flight from Los Angeles to New York during which severe turbulence caused the plane to rise and fall 200 feet within less than one second, throwing passengers from their seats. In order to effectively depict the traumatic experience that the passengers endured during the 28 seconds of intense turbulence, Animators created a 2-D animation of an airplane drawn to scale that moved from left to right, leaving behind its path in the form of a graph, which showed altitude with relation to time. 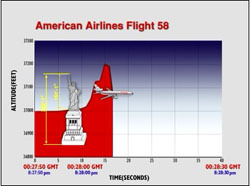 In the left hand corner, Animators superimposed an image of the Statue of Liberty and its corresponding measurements, so that jurors could compare them with the altitude changes the plane made and understand that it was essentially like jumping off the Statue of Liberty. The use of the image of the Statue of Liberty was particularly compelling since the case took place in New York. In another particularly high profile case, Animators worked on a wrongful death lawsuit brought as a result of the well-publicized ValuJet plane crash in the Florida everglades. In that case, the problem presented to the trial lawyers concerned the level of damages, because the deceased was a divorced single mother who made only $16,000 a year as a waitress. Through the use of a carefully crafted animation, which was synchronized with the cockpit and cabin voice recorders, Animators was able to maximize the plaintiff’s damages by demonstrating the terror of the three and one half minutes it took the plane to fall from the sky. The animation synchronized information from the flight data recorder, radar echoes, and audio from the inside of the plane to create one of the most powerful animations produced for use in the courtroom to date. The animation is shown here, sans audio, as the audio is protected by court order. 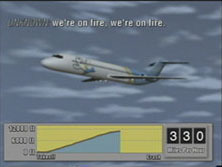 The animation was not intended to depict exactly what happened on ValuJet 592 as the fire burned through the floor of the passenger cabinet, but rather, was designed to allow the viewer to use their own imagination by hearing what happened and looking at the movements of the plane during the last moments of the flight. Animators’ successful work in the Energy/Environmental arena has made it the leading choice in the industry. Animators’ recent work has included multi-billion dollar litigation in which Animators is helping to defend the coal fired power plant industry from a legal assault by the EPA and the U.S. Department of Justice. In this series of cases, the EPA has attempted to show that the industry is modifying plants rather than performing routine maintenance. In order to counter the EPA’s contentions, Animators created a 2-D animation of the power plant at issue, which combined animation with actual video footage in order to contrast the minute nature of the repairs with the immense magnitude of the overall power plant. 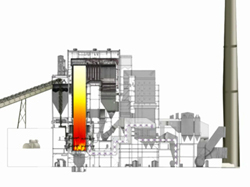 By utilizing actual video footage of the power plant in conjunction with the animation, the jury was given an actual reference in which to compare the animation, thereby significantly increasing the animation’s credibility. See related blog posts and samples here. Animators’ recent work for the construction industry has included cases stemming from a wide range of construction areas including: copper mining, high profile eminent domain work in Florida, a major West Virginia hydroelectric project, a Northern Virginia waste water treatment facility, as well as casino construction litigation in Mississippi. In one recent example, Animators was called upon to create an animation explaining the highly technical copper leaching process in a case involving a failed copper mine. In that case, it was central to the trial team’s overall message that the jury fully understand that the mine’s failure was due to unforeseen geological factors which were in no way attributable to the client. Therefore, it was critical that the jury comprehend the hyper-technical copper leaching process. As a result, Animators was called upon to create an animation, which was both informative and easy to understand. Achieving this goal required that Animators not only work closely with experts in both chemistry and geology, but also fully comprehend these difficult scientific disciplines.